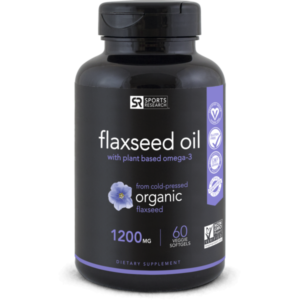 This cold pressed Vegan Flaxseed Oil offers a great alternative source of Omega 3, 6, 9. 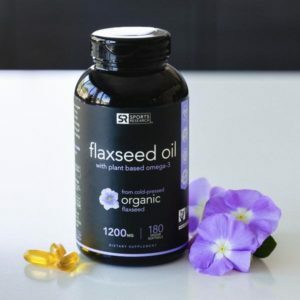 Contains NO animal ingredients: The only Vegetarian Flaxseed Oil Softgel available with 720mg of Alpha-linolenic Acid (ALA) per softgel. Rich Source of Omega 3s: Your omega-3-6-9 supplement is full of essential fatty acids believed to support heart & digestive health, aid in weight management, & promote healthy skin & hair. High in ALA: Has 60% alpha linoleic acid, a plant-based omega-3 fatty acid thought to counteract inflammation & provide cardiovascular benefits similar to omega-3s found in fish oil. All-Natural Formula: No preservatives, additives, bleaches, or fillers are used in this cold-pressed oil. It’s also non-GMO and soy and gluten free. You can feel good about taking it every day.